View cart “Classic Venla All-in-One Pouch White” has been added to your cart. 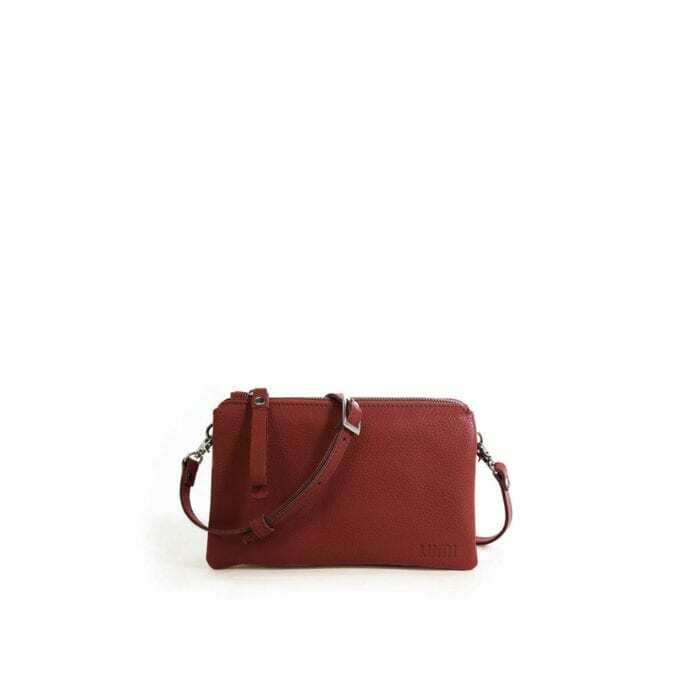 Classic Venla All-in-One Pouch in red wine. The timeless Venla pouch is one of our bestsellers, and we know why! It is small and functional. In other words, the perfect bag to safe-keep your daily essentials. There are three multi-functional and separate compartments that are a perfect fit for your phone, cash and daily beauty items. Venla converts nicely from day to night with a long detachable strap, so wear it as a handbag or a clutch – what ever suits your style! The Classic Venla is made from full grain milled cow floater leather. 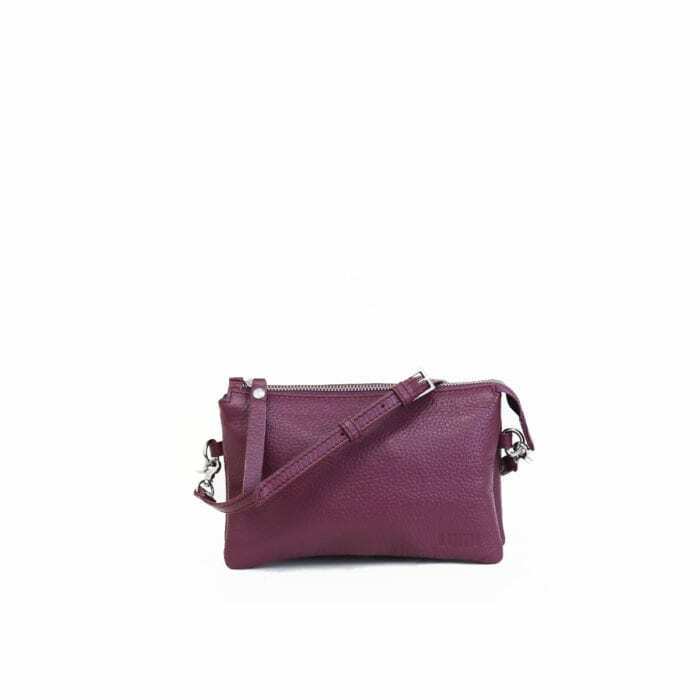 Classic Venla All-in-One Pouch in violet. The timeless Venla pouch is one of our bestsellers, and we know why! It is small and functional. In other words, the perfect bag to safe-keep your daily essentials. There are three multi-functional and separate compartments that are a perfect fit for your phone, cash and daily beauty items. Venla converts nicely from day to night with a long detachable strap, so wear it as a handbag or a clutch – what ever suits your style! The Classic Venla is made from full grain milled cow floater leather. 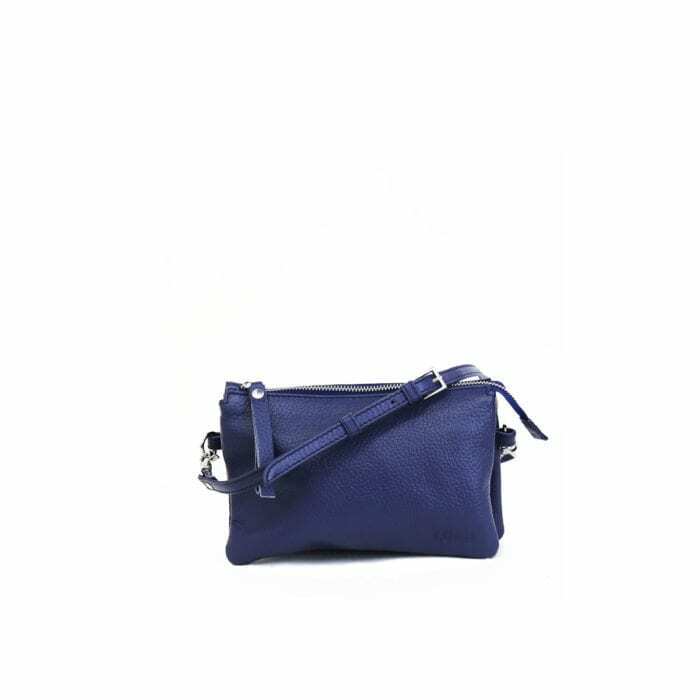 Classic Venla All-in-One Pouch in blueberry. The timeless Venla pouch is one of our bestsellers, and we know why! It is small and functional. In other words, the perfect bag to safe-keep your daily essentials. There are three multi-functional and separate compartments that are a perfect fit for your phone, cash and daily beauty items. Venla converts nicely from day to night with a long detachable strap, so wear it as a handbag or a clutch – what ever suits your style! The Classic Venla is made from full grain milled cow floater leather. 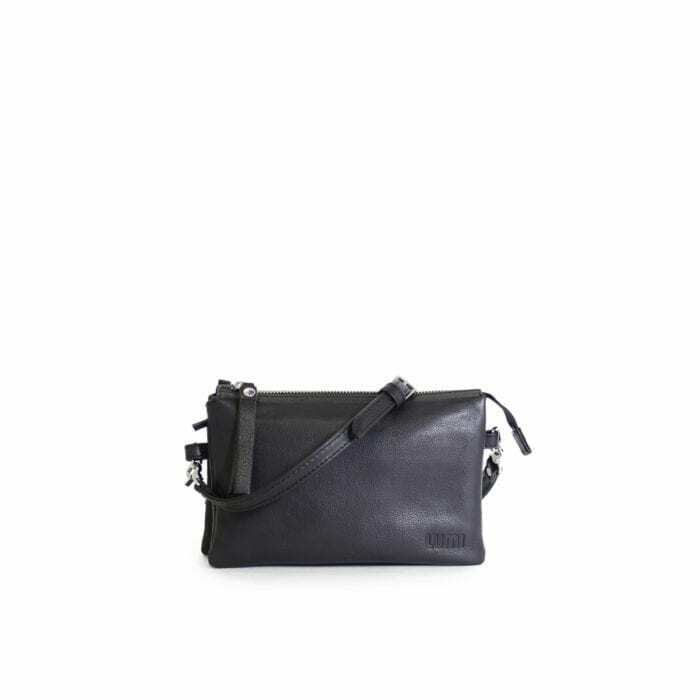 Classic Venla All-in-One Pouch in black. The timeless Venla pouch is one of our bestsellers, and we know why! It is small and functional. In other words, the perfect bag to safe-keep your daily essentials. There are three multi-functional and separate compartments that are a perfect fit for your phone, cash and daily beauty items. 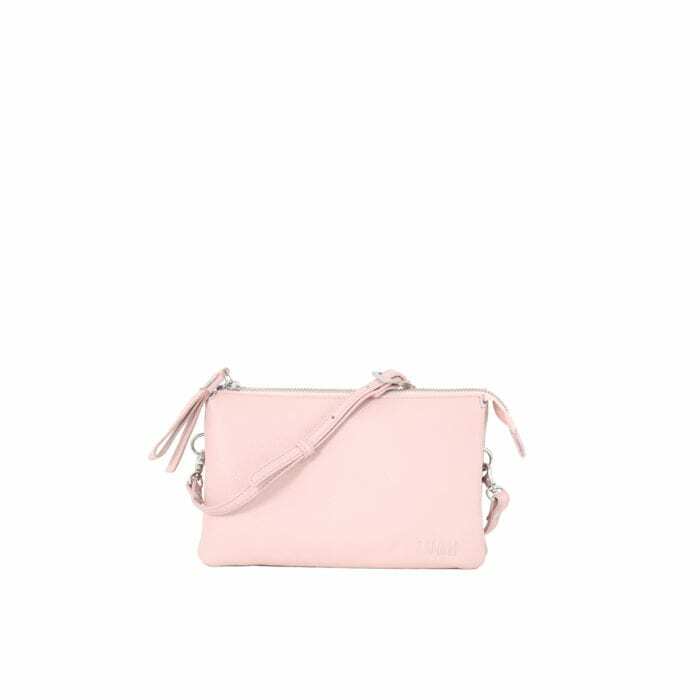 Venla converts nicely from day to night with a long detachable strap, so wear it as a handbag or a clutch – what ever suits your style! Eco means that this bag is made of certified vegetable tanned, chrome-free leather. Only natural dyes are used during the tanning process. 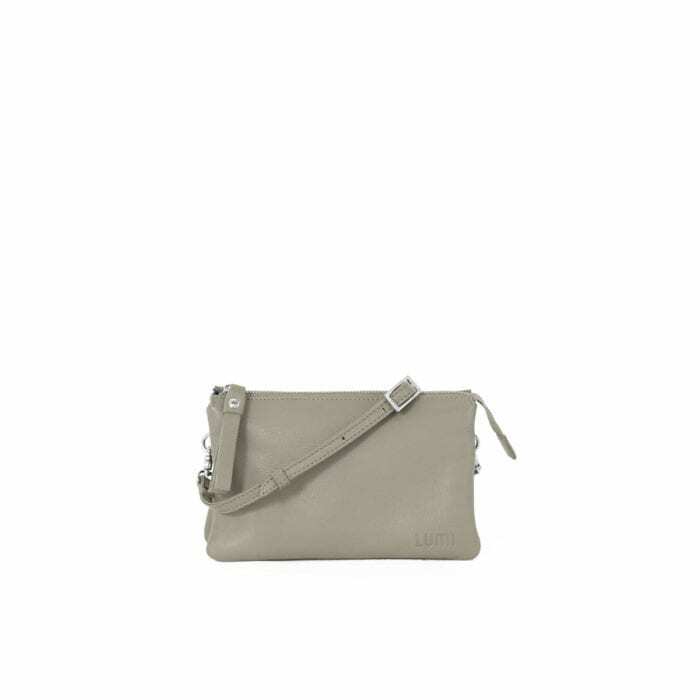 Classic Venla All-in-One Pouch in grey. The timeless Venla pouch is one of our bestsellers, and we know why! It is small and functional. In other words, the perfect bag to safe-keep your daily essentials. There are three multi-functional and separate compartments that are a perfect fit for your phone, cash and daily beauty items. Venla converts nicely from day to night with a long detachable strap, so wear it as a handbag or a clutch – what ever suits your style! The Classic Venla is made from full grain milled cow floater leather. Classic Venla All-in-One Pouch in beige. The timeless Venla pouch is one of our bestsellers, and we know why! It is small and functional. In other words, the perfect bag to safe-keep your daily essentials. There are three multi-functional and separate compartments that are a perfect fit for your phone, cash and daily beauty items. Venla converts nicely from day to night with a long detachable strap, so wear it as a handbag or a clutch – what ever suits your style! The Classic Venla is made from full grain milled cow floater leather. 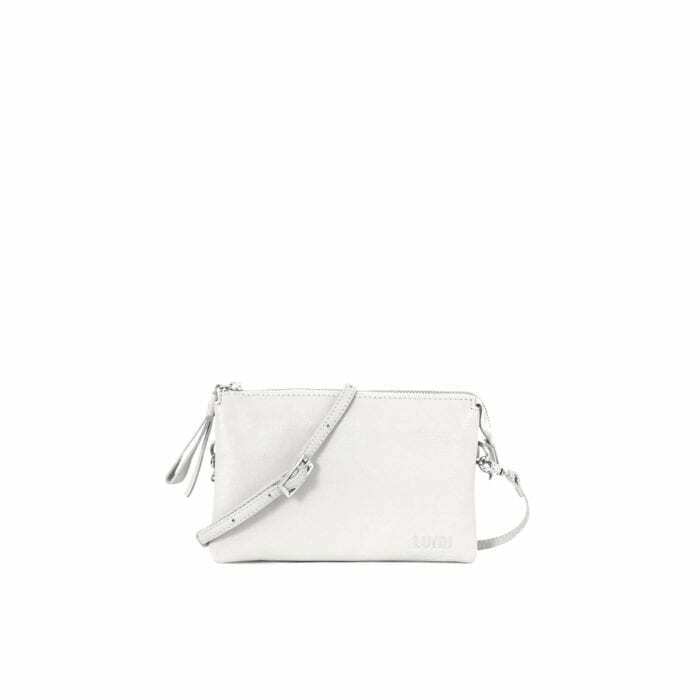 Classic Venla All-in-One Pouch in white. The timeless Venla pouch is one of our bestsellers, and we know why! It is small and functional. In other words, the perfect bag to safe-keep your daily essentials. There are three multi-functional and separate compartments that are a perfect fit for your phone, cash and daily beauty items. Venla converts nicely from day to night with a long detachable strap, so wear it as a handbag or a clutch – what ever suits your style! The Classic Venla is made from full grain milled cow floater leather.